As a runner, you’re likely personally acquainted with shin splints. Whether it’s because you’ve felt the pounding pain yourself or because your running partner is the one currently limping off the track, almost everyone experiences this injury at some point during their career.Shin splints are hard to prevent. Often, it’s the result of inflammation caused by overuse. Or it could be a lack of cushioning or overpronation from wearing the wrong type of running shoes. For some runners, the cause can be from heel striking while running. Your shoes play a significant role in preventing and running through shin splints. While no shoe can prevent shin splints entirely, finding the right shoe can help. The right running shoe can help correct your running form, taking some of the pressure off your shins. The Brooks Ghost 11 is a neutral shoe, great as everyday trainer with enough quickness for races. 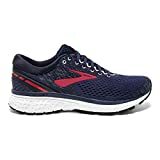 In the tenth version of the shoe, Brooks played with an already winning combination to add more cushion and improve the heel-to-toe transition. In addition to the signature smooth ride, Brooks also added a new adjustable saddle. The saddle allows runners to lace up they way they want to find their most secure fit – as loose or as supported as they want. In keeping with current trends, the Ghost 11 is also lighter than previous models and has a soft, seamless upper. When you combine all these features, you get a shoe soft and structured enough for shin splints. We’ve previously mentioned the Brooks Glycerin 17 as the best daily shoe for runners with foot and leg pain – and that includes shin splints. This neutral pair of shoes is designed for road running, with enough tread for light trail. With the Glycerin 17 you’ll find several features to help you fend off and recover from shin splints. The biggest impact is DNA Loft foam in the midsole. This foam continues to provide the soft, plush feel the Glycerin is known for. But it retains its responsive ride and has great durability. Also new is a redesigned upper made of engineered mesh. This provides an even softer feel when you put your feet in the shoe. It also lightens the shoe a bit and makes for a sleeker design. Finally, a plush sock-liner provides a soft, comfortable feel as soon as you put them on. A low heel-to-toe drop can often inflame shin splints. The high drop in the Glycerin should help to counteract that. And with flexibility in the outsole and extra cushioning, the Glycerin allows you to toe-off and land with significantly less plain. Like the Ghost 11, Brooks added the elastic saddle to allow you to achieve the right fit. Overall, this shoe is super-soft and feels great as soon as you put it on. 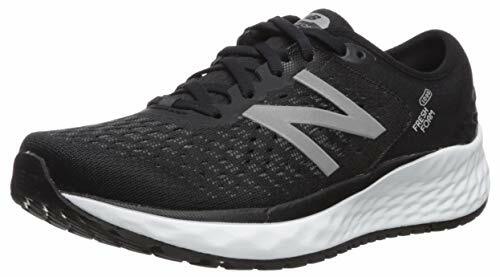 The New Balance 1080v9 is the latest in the series with a few new updates for a smoother ride. But it keeps the same general design as its predecessors. New Balance switched the geometric pattern on the outside of the midsole from a convex pattern to a concave one. While it sounds small, a concave pattern creates a softer lander and allows a better transition while running. Additional changes to the midsole include the addition of laser engravings at the heel to improve the landing. The Fresh Foam midsoles are also a bit softer, but you do sacrifice an addition ounce in weight from the added foam. The heel collar has gotten less cushioned and sits lower on the ankle. This sheds a small amount of weight, but may not provide enough ankle support for some runners. Overall, you should experience a slightly smoother ride compared to the 1080v8 and certainly compared to the 1080v7. The updates provided should be enough cushion for runners with shin splints. If you don’t let shin splints stop you from participating in distance running, consider investing in the Hoka One One Clifton 5. The latest version of the Clifton is the comfiest version yet. It includes plenty of support for high arches and firmer cushioning – this allows more durability for heavier runners. It’s a shoe with enough cushioning to help runners with leg or foot problems, allowing you to run without pain. Part of the Clifton’s success comes down to it’s cushioned but light right. The molded Ortholite sockliner, which enhances the effect of the EVA foam, also helps wick sweat by absorbing moisture and targeting bacteria. If you have low or flat arches, you may want to steer clear. Although the cushioning is superb, the arch on the midfoot may be too high for runners without medium to high arches. 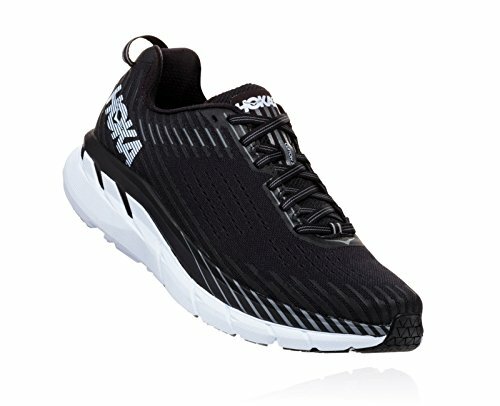 However, if you have wide feet, you’re now in luck – Hoka decided to add new widths to this version of the shoe. Hoka is known in long-distance and ultra-marathon circles for providing comfort and stability miles into your run. For many runners, the Arahi 2 is said to be no exception. The Arahi 2 is a stability shoe with a similar ride to older versions of the Clifton. It includes Hoka’s signature cushioning, but it’s more structured than the Clifton. The overall ride is similar to a Brooks Ravenna 8 because it features plenty of cushion with moderate stability. 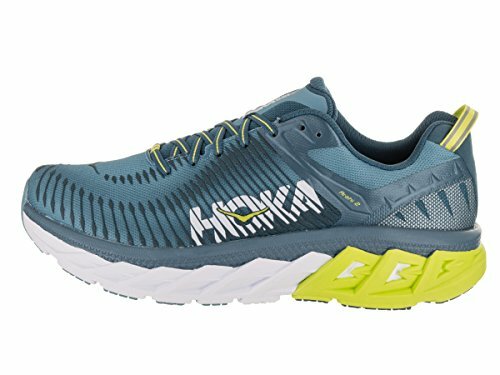 Although the midsole is often the center of the action for cushioning, the Arahi 2 has Hoka’s J-Frame midsole technology that prevents overpronation. It also has a more durable outsole for traction and durability. Like other Hoka models, the midfoot is narrow. You’ll appreciate it if you have narrow feet or like a secure fit. 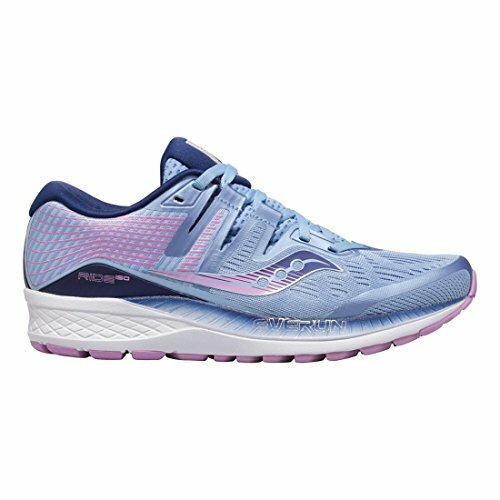 The newest Ride by Saucony builds on it’s best qualities as an everyday trainer while lightening up shoe and improving the overall fit. The primary difference between the Ride ISO and previous models is the ISO Lacing and FORMFIT sole. FORMFIT is a new type of midsole that’s debuting on the Ride ISO. Rather than have a sole that’s flat against your foot, the Ride ISO is shaped to conform to your foot, almost like a built-in insert. The result is a more comfortable overall fit. ISO lacing provides a sock-like fit on the upper. It gently cradles and supports your feet, giving you a locked-down feeling without leaving your feet cinched in by the laces. Finally, you might enjoy the wider toebox added to the model as well as the Tri-flex outsole, which offers a natural running feel. The Asics Number is a plush, highly cushioned shoe. It’s been one of Asics’ best-selling shoes for nearly 20 years. The Asics Gel-Nimbus 20 continues to build on that foundation. Version 19 included a complete redesign to the upper as well as a brand new midsole. The problem was the fit was horrendous, running small by nearly a full size. 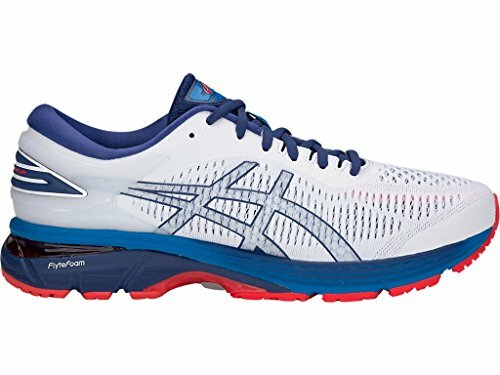 The Asics Nimbus 20 takes all the updates from the previous version but fixed the fit issues that plagued the last model. Cushion comes from the FlyteFoam midsole and the addition of FluidRide. That means you get gel cushioning at the forefoot and rearfoot to absorb the shock during your runs. The biggest change to the Nimbus 20 is the upper. The newly updated upper adds more comfort to the shoe. It’s also more breathable than the previous version. The modified heel counter provides a snug heel fit adding extra support to the back of the shoe. Looking for a shoe that goes the distance with nice arch support and plenty of cushioning? The Brooks Adrenaline 19 is considered by many to be one of the best all-around stability shoes available. It’s well-cushioned and offers a wide toe box for the swelling that accompanies long runs. The BioMoGo DNA and DNA Loft foam midsole creates a soft underfoot suitable for long runs. The HPR Plus outsole provides traction and durability. 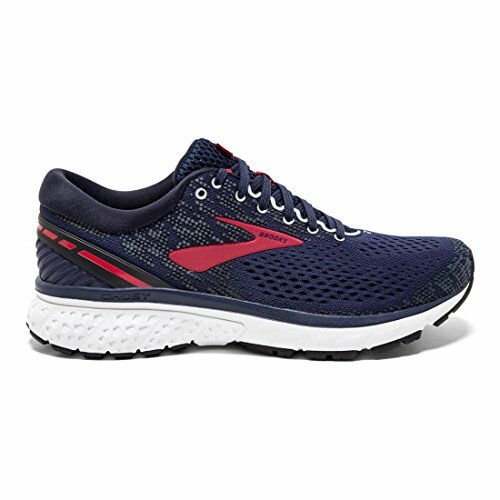 Brooks’ basic promise with this shoe is a comfortable ride – even for shin splints – while still providing a balanced and relatively lightweight shoe. The latest version of one of Brooks’ lightest – with the comfort and support the Adrenaline is known for. New in the GTS 19 is a guide rail system that replaces the traditional (and heavy support) found in most shoes in this category. The guide rails are two sections of soft plastic aligned on the sides of the shoes near the back arch and heel. As your foot pronates inwards, the guide rails gently position them back into place. This allows for a natural running motion that doesn’t overstress your legs and feet as you run. The latest Saucony Triumph ISO hit the market late last year, but the running community is still talking about it. As previously mentioned, Saucony used to focus only on lightweight, technical shoes. But now, the company is creating shoes that maintain the technical aspects while adding a highly cushioned ride. The Triumph line is one of the most cushioned Saucony shoes available. In its fourth iteration, you’ll find several features to add comfort while still maintaining decent response and flexibility. The biggest change between version 3 and 4 is in the midsole and outsole. Unlike the Triumph 3, the Triumph 4 includes a full-length EVERUN midsole, leaving behind the previous foam in favor of more spring. This isn’t limited to the Triumph; Saucony has been doing this across their product range. Saucony also upgraded the outsole rubber to support the midsole by adding flexibility. The reason you might like running in this shoe – even with shin splints – is the ride resulting from these two features. The EVERUN proves extra cushion, but the sole helps you deal with uneven surfaces, which would otherwise cause your shins to scream. The Asics Kayano 25 is the literal heavyweight in supportive shoes for shin splints. This shoe is the runners (or general) go-to for anyone who wants a supportive shoe with a whole lot of cushion. Asics uses gel cushioning in addition to foam across all its models. 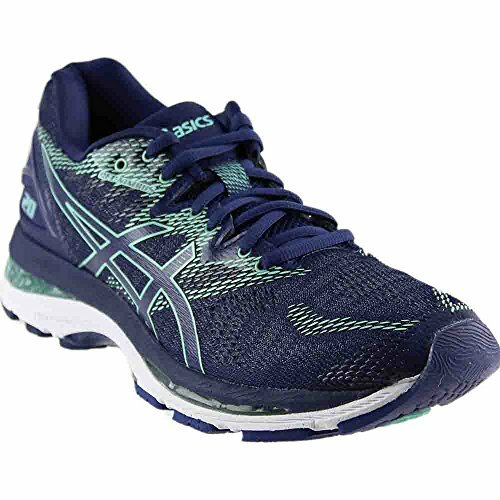 In the case of the Kayano 25, Asics places the cushion strategically to promote stability and absorb shock – two musts for injuries or nagging pains. The upper on version 25 is flexible, stretching with your foot. You may also like the improved mesh on the latest upper because it increases circulation in the shoe. While the Kayano is a heavy shoe, it does provide a plush ride with plenty of support. 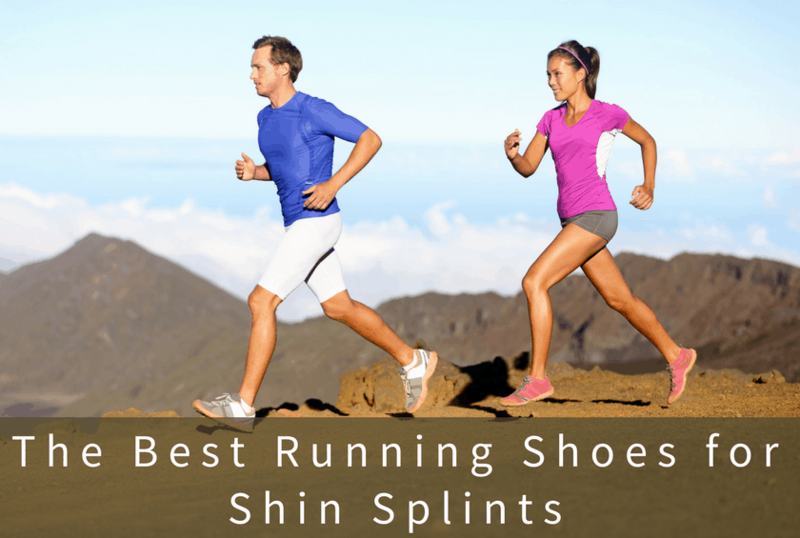 What should I look for in running shoes when I have shin splints? You’ll want to look for shoes with lots of cushioning. Cushioning runs from Level 1 to Level 5, and you’re definitely better off closer to Level 5. You may also want to look into a stability shoe that will provide motion control. Finally, a lower drop shoe may help you change your form to run with better form, which will assist in avoiding shin splints. What causes shin splints when running? Shin splints can be caused by a variety of different reasons, some more easily fixed than others. First, they can be caused by old or running shoes that fit poorly. If you’ve been wearing your favorite old pair for a long time, maybe consider updating them! In addition, if you overpronate, meaning that you roll your foot in when you run, you can experience shin splints. Finally, not stretching enough or a muscle imbalance can cause shin splints when running. How can I prevent shin splints while running? Depending on the major cause of your shin splints in the first place, you have different options. A more cushioned shoe or changing your running form from being a heel-striker to landing on the ball of your foot—the way you should run—will assist in preventing shin splints. In addition, using compression socks/sleeves with increase blood flow in the muscles in your lower leg, meaning that the likelihood of you experiencing discomfort, inflammation, and pain will decrease. Compression socks/sleeves are most effective for recovery, but some runners also like to use them while running. You can treat shin splints by running better and by using a foam roller and stretching more. Whenever you experience lower leg pain, use your foam roller to roll out that inflammation in your shins. It’s important to keep up your shin splint stretches, as this could make or break or recovery. You can also try tracing the alphabet on the floor with your big toes with both legs, as this will help strengthen your front calf/shin muscles. You can also alternate walking on your heels for 30 seconds with walking normally for 30 seconds, which will again strengthen the muscles in your calf and shin and can help prevent shin splint issues in the future. If you’re still having problems with your shin splints after these exercises, you might want to cross-train with swimming, cycling, weight training, and so forth until you can run again. Can I still run if I have shin splints? Yes, you can, but you need to treat your shin splints so that it doesn’t become a major issue. Remember to increase your mileage slowly especially if you’re a new runner or are just getting back into running. Don’t increase your distance by more than 10 percent daily. Also, remember to wear the best shoes for shin splints to avoid additional problems in the future. Finally, working to strengthen your shins through exercises like calf raises and your hips through strength training and reducing stress on your tibia by increasing your stride frequency to avoid overstriding and unnecessary impact as well as modifying your training by reducing the mileage, intensity, and duration of your runs will all assist you in recovering from shin splints while still running.